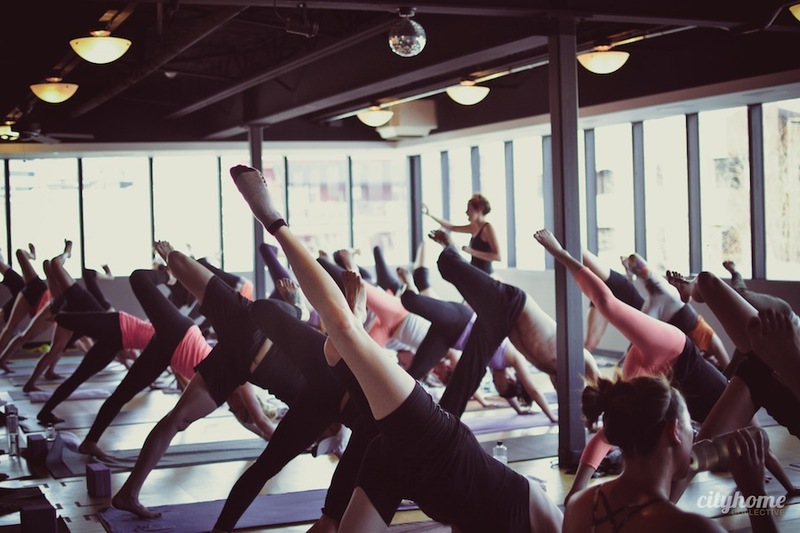 Kind of a technical question: what the hell is hot power yoga? *Laughing*...exactly what I thought the first time I saw a hot power studio in Pittsburgh. 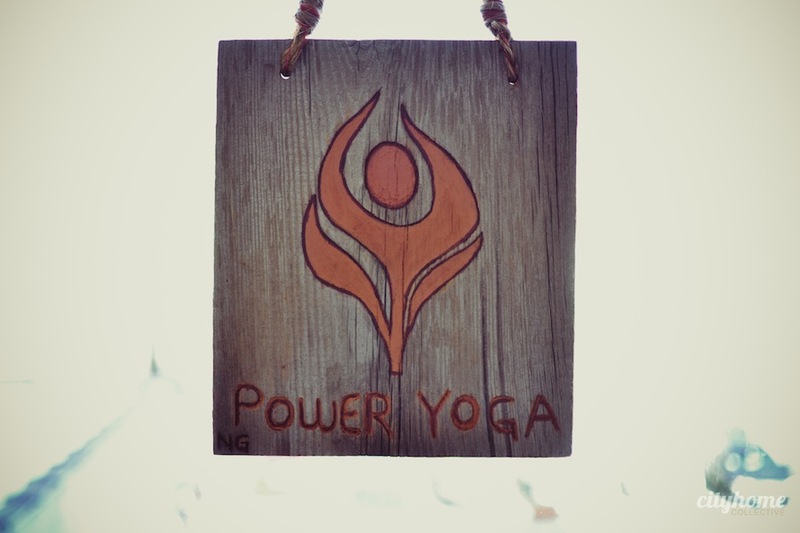 Hot Power Yoga is a physical flowing practice (very different than the other 26-pose HOT yoga) taught in a room between 90° and 100° with 40% humidity. Think about getting your Asana (yoga pose) handed to you in a tropical, jungle environment! 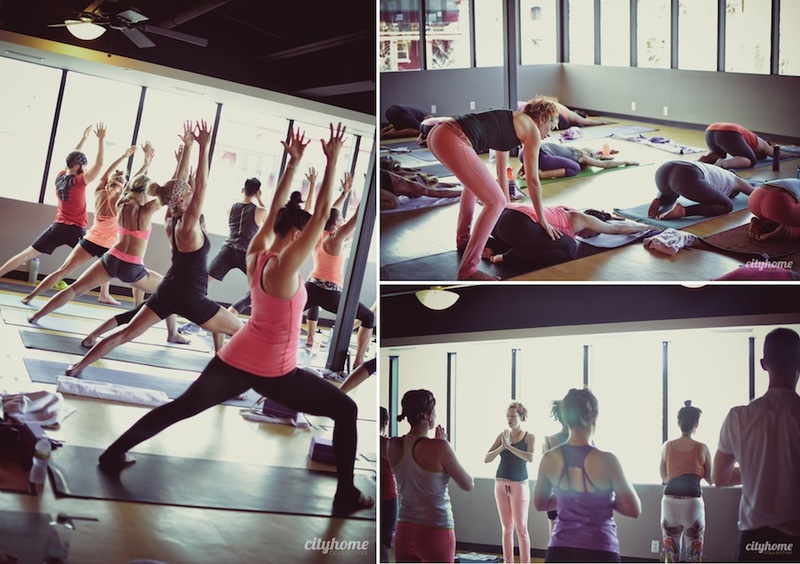 It's clear to us that you love this type of yoga. When and where did the love affair begin? I grew up in SLC and lived here until 2008. 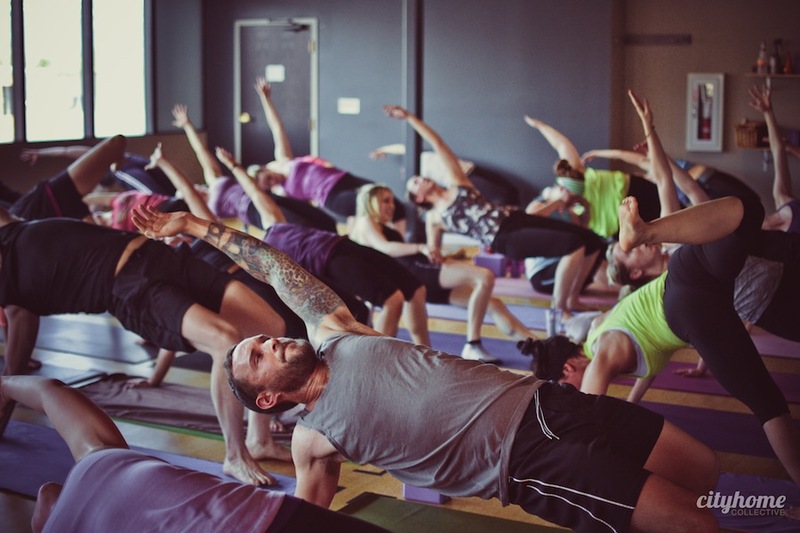 I was not a yoga fan...I had tried it at the gym and even at a couple of studios in town, and just remember thinking, "this is not for me, I am not flexible, and I feel like I need to run home from the studio in order to get my heart rate up". It wasn't until we moved to Pittsburgh (2008-2011) that I discovered the amazing energy of the Baptiste Power Practice. The love affair was a LONG, SLOW one...honestly, I disliked the practice for almost the first year. I had met some incredible girlfriends in Pittsburgh, and they all went to yoga, everyday. I was a total yoga brat. I had to have my mat in the space that was right next to the door and the wall (to make a speedy exit without stepping in any unknown "puddles" and to use the wall to help with my balance...I was constantly falling over). I had been practicing off and on for about a year when I decided to do a 30-day challenge with 2 friends. 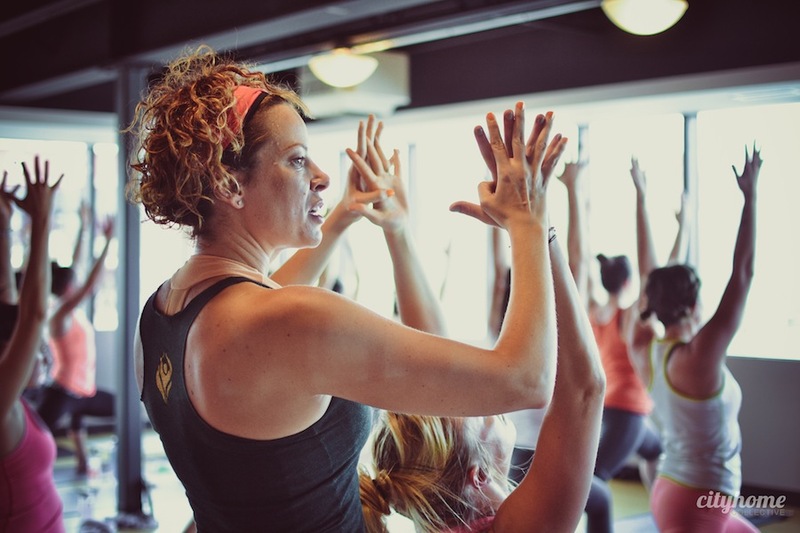 We committed to go to yoga every day for one month, and after about day 13, I stopped hating the practice and noticed huge changes in myself; physicality, strength, and a strange emotional calmness had started to creep in to my overactive, high strung brain. 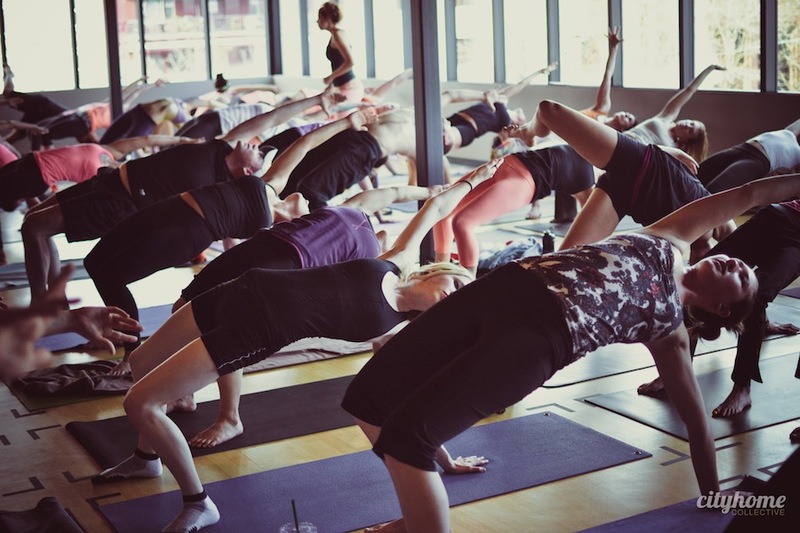 People think that yoga is a serious event, no smiling, no laughing and definitely NO silliness allowed. I think that yoga should be the opposite. I love creating an environment where people can have fun, remember that inner child, and quiet down the overactive, ever-planning minds. I had a chance to take a class and loved it. Your studio is approachable..no pretension or intimidation for newbies. Did I just get special treatment because we love each other? Of course we love you guys! The studio was intentionally designed to create a welcoming feel. I wanted something reminiscent of the bar in Cheers or the coffee shop in Friends. 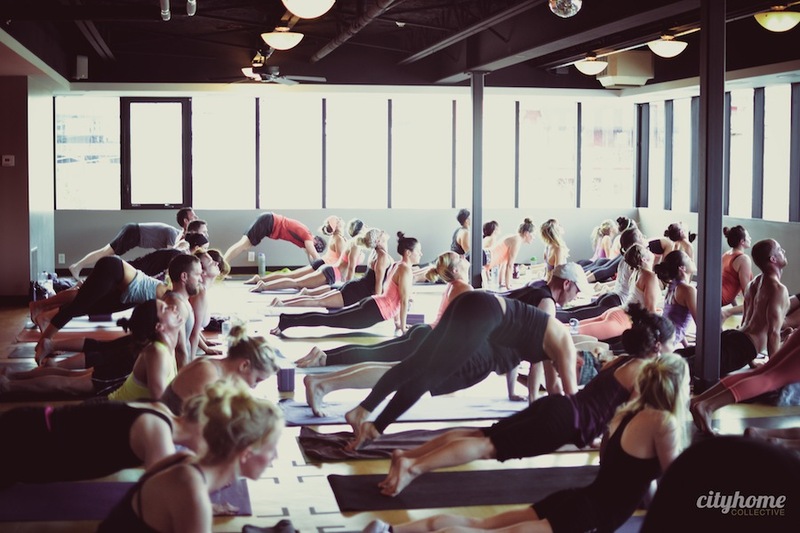 I know that one of the biggest reasons people do not go to a "yoga studio" is the intimidation factor, which we have tried our best to lessen. Yoga is such a social activity -- community is really the center spoke of the wheel. We want people to enjoy going to the studio, with the expectation of running into old friends and making new ones. The downtown neighborhood is ecstatic to have you. Why? Downtown is turning into such a vibrant place (finally)! I think having a locally-owned, urban-esque studio was exactly what our city was missing. With our neighbors on Broadway, we really couldn't have landed in a better location. The relationship with our landlord is incredible (added bonus). The local business owners have been so welcoming and supportive, and I have really enjoyed getting to know the folks in the Downtown Merchants Association, they have been fantastic! You had a lot of choices in a number of neighborhoods when we were looking at spaces last year. Why downtown? We looked at over 30 properties when trying to find this gem of a location (thanks to Chad & Cody for your patience). I think with the opening of City Creek and the revitalizing of the downtown area, SLC has finally arrived as a destination spot for fine dining, entertainment and nightlife. We loved the parking options in this current space, and when we walked upstairs and saw the view of the mountains we were sold. We really wanted walkability along with accessibility, which is a tricky combination. We knew the popularity of the practice in other cities/states and needed to find a place that could accommodate 50+ cars with preferably-free parking. The space itself is a bit unconventional -- we love it. Why do you think it works? The contrast between the older exterior of the Broadway Plaza and the urban feel of the bright orange door and metal stairs creates the perfect prequel to what you find when you land on the second floor and open up the studio doors. 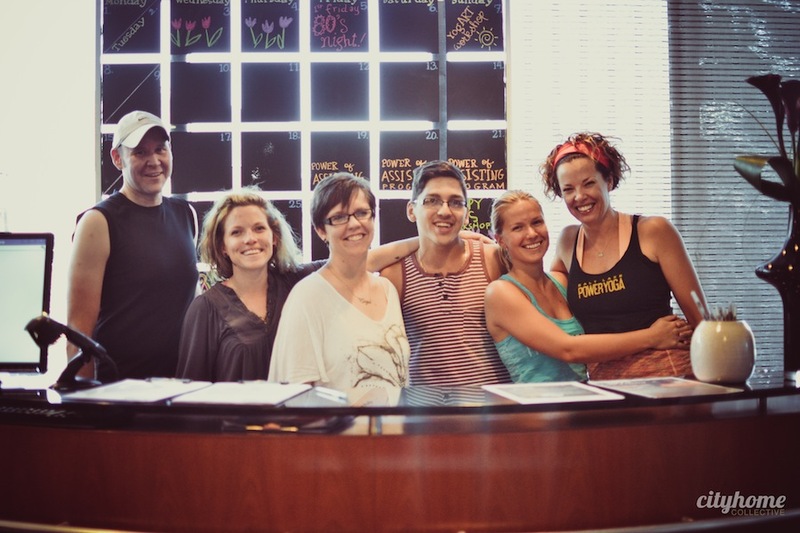 We wanted to create an oasis of sorts in the studio space, with spa amenities; it was very important to us to dissolve the "ick" factor that so many have when thinking about Hot Yoga. The space and the studio itself are clean and immaculate. There is nothing more disgusting than using the restroom in a yoga studio and being grossed out by it! Who is your ideal client? Our ideal client is the person looking to do something different in their life. They might be looking to lose weight, tone up, gain strength (physical or emotional), or find stillness/calm in their busy mind. We have students of all age ranges, from 18-65, and of all shapes, sizes and experience. 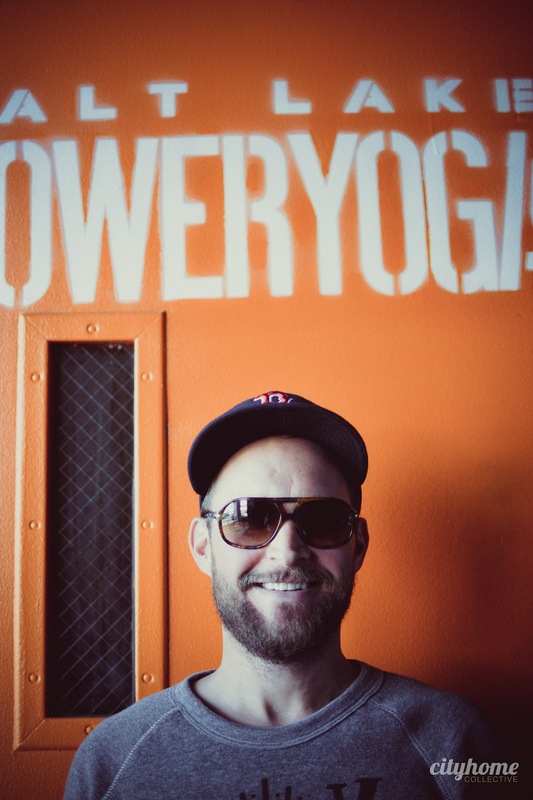 The wonderful thing about opening the ONLY hot power yoga studio in SLC is that there really are no "experts". Prior to our opening in 2012, there was no place to practice it. 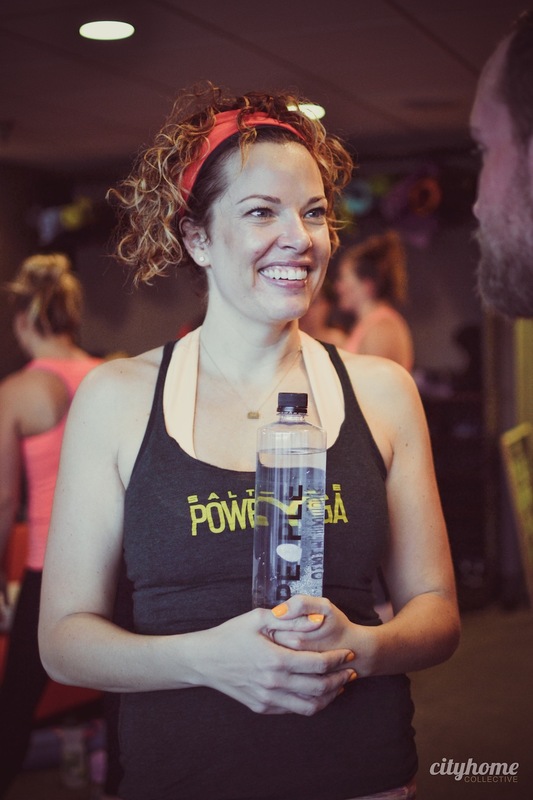 Most of our classes are all levels, and the instructors give modifications to accommodate first-time students while continuing to challenge regulars. What should our readers know about you that they may not know already? I am not a yogi!!! 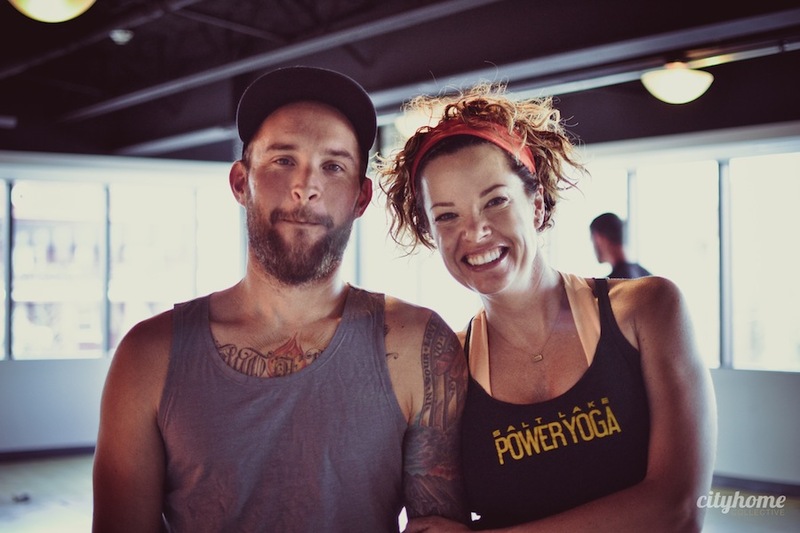 I absolutely LOVE the practice of Baptiste Power Yoga and was devastated when we moved back to SLC in 2011 that there weren't any Baptiste options to practice in SLC. Before opening the studio with my partners, Kerry Armstrong & Marc Weinreich, I worked at LuluLemon and Sephora, owned the Mynt Martini, and worked for over a decade in HR for the Postal Service. This style of yoga practice romances you and changes you from the inside out. I originally started going to obtain that amazing yogi physique, and instead I was transformed from the unhappy "busy" person who was obsessed with what comes next or how much money I could make. I finally realized that I was missing my entire life. I can't imagine what my life would be without the studio or the amazing community at the studio. I love teaching with music, too...it adds another element to the practice and allows students to have a completely different experience. If you could give Salt Lake a pep talk, what would you say? Pep talk... hmm. I was more of an anti-social goth kid in high school than a cheer leader. My biggest piece of advice is to learn not to take yourself so seriously! I love hearing laughter in my classes, and my only requirement as an instructor is that you have FUN, let loose, and be NICE to yourself. We are programmed at such a young age to constantly set goals and work hard for the next hurdle. Sometimes it's easy to lose sight of the little things that are so important. Yoga helped me remember those little things, and without them life is pretty dull.